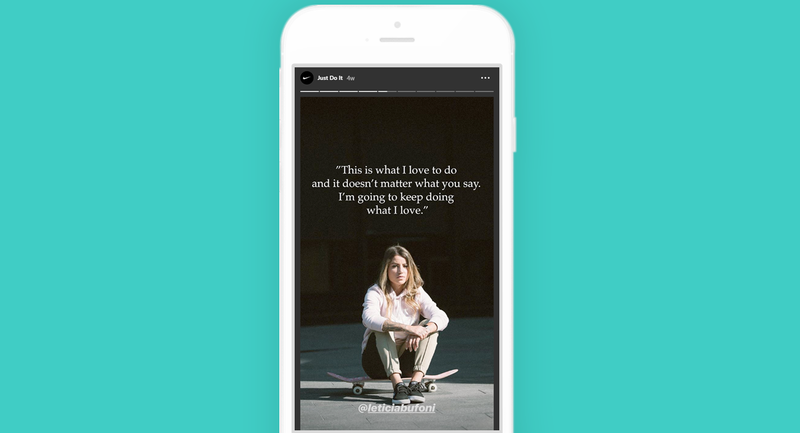 Find out everything you need to know to use Instagram Stories like a pro with examples, tips, and tutorials for marketers.. Feeling left out by Facebook’s “pay-to-play” attitude? Its 2018 algorithm changes hit small businesses hard. 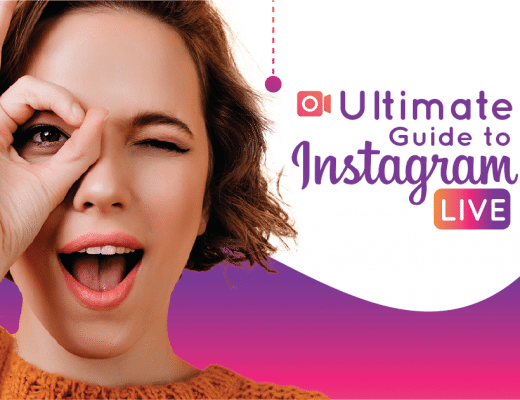 Fortunately, just when you thought social media was about to make business marketing impossible, along comes Instagram Stories. Instagram Stories is the social media marketing solution that you wished for but thought would never come. 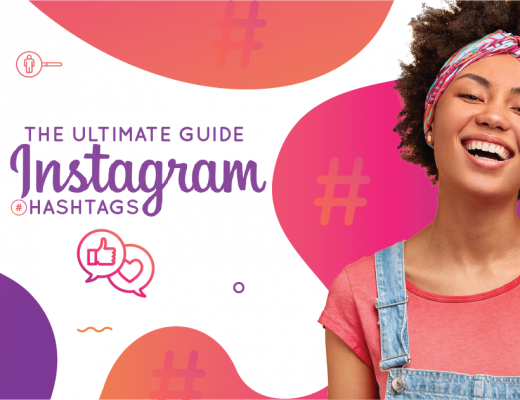 In this article, we’ll show you all the Stories formats, tips, and features you need to know about to succeed on Instagram. What’s new in 2019 Instagram Stories? 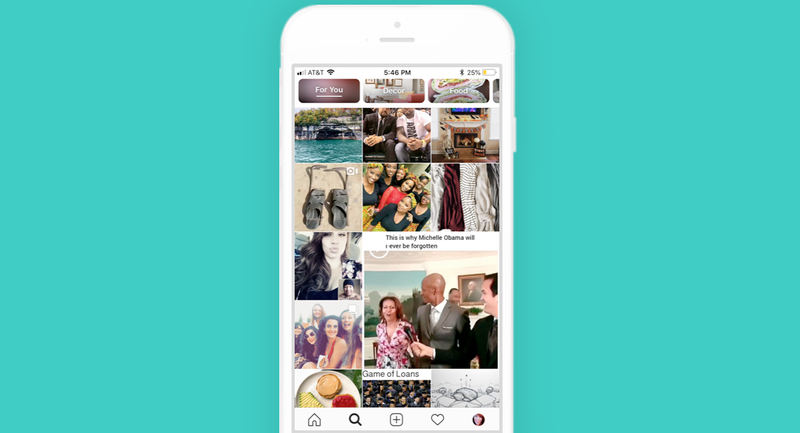 Whether they’re sharing their lives or discovering new brands, Instagrammers can’t seem to get enough of Stories. For businesses, the Stories feature offers a unique opportunity to grow an audience, increase engagement, and drive website conversions. In fact, one-third of the most-viewed Stories on Instagram are from businesses. During a time when many other social media platforms are executing algorithms to hide the presence of businesses, Instagram is doing the opposite. 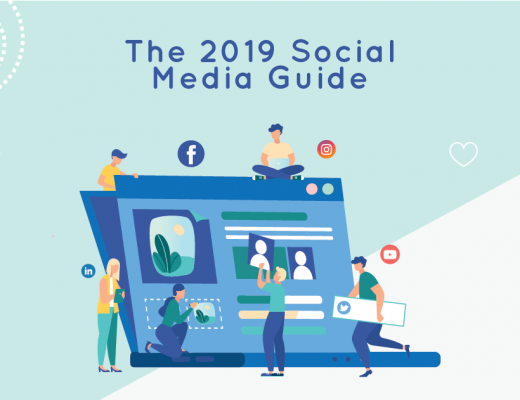 Its features, support, and algorithm help marketers get their brands in front of a new audience and build a loyal, engaged following on Instagram. Many brands have gone on the record stating that Stories has a tremendous impact on their ability to grow, interact, and convert followers to customers. 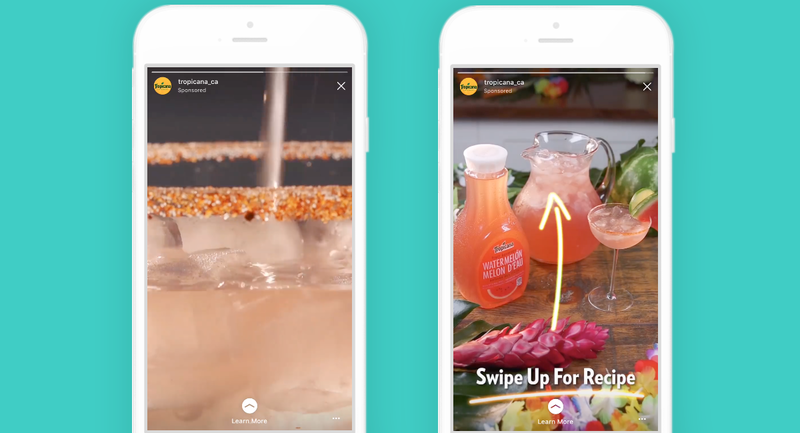 For example, Tropicana Juice ran a series of vertical videos in Stories for a summer promotional campaign. Its addictive how-to style videos were a giant success and ended up boosting its in-ad lift recall by a gigantic 18 points. Tropicana later said that the use of full-screen vertical videos in Stories allowed their visuals to “pop more vibrantly” and reach a wider core consumer base. Every day, more than 500 million Instagrammers use Stories. 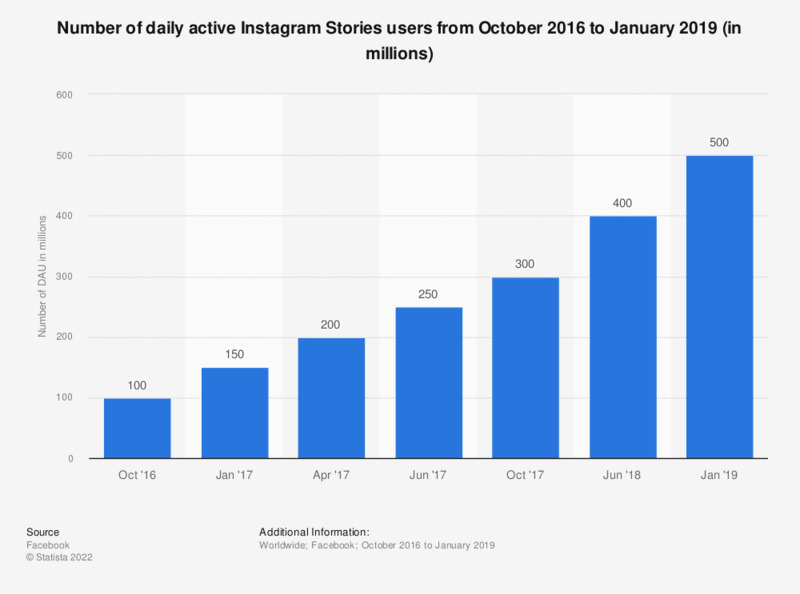 Instagram Stories launched in 2016 and grew to over 400 million users in less than 24 months. 2018 saw the release of a number of new Stories features that make brand messaging more engaging and discoverable. Question stickers: Question stickers allow you to post multiple-choice questions to your followers. They can be a fun and engaging way to interact with your audience! Use them for your events and in-store promotions. Music in Stories: Create a mood by adding up to 15 seconds of background music to your Instagram Stories. Location stickers: Location stickers help brick-and-mortar businesses drive local Instagrammers to their physical location. 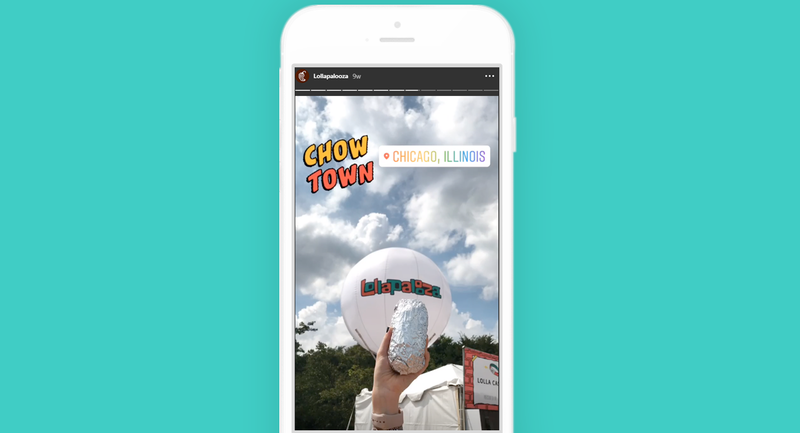 For example, Chipotle restaurant chain threw a “Lollapalooza” event in Chicago, Illinois and invited nearby Instagrammers to join in. They included a location tag at the top of one of the Story screens. Any business with a physical location can add a location sticker to Stories. Location stickers help Instagrammers to find local businesses when they’re searching for a nearby restaurant, store, or other local business. 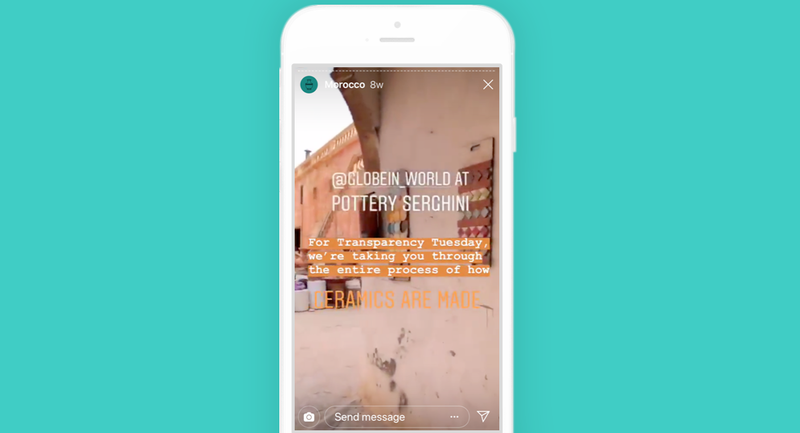 Ads in Stories Now, businesses can reach a highly targeted audience through ads in Instagram Stories. Ads in Stories are a paid feature. 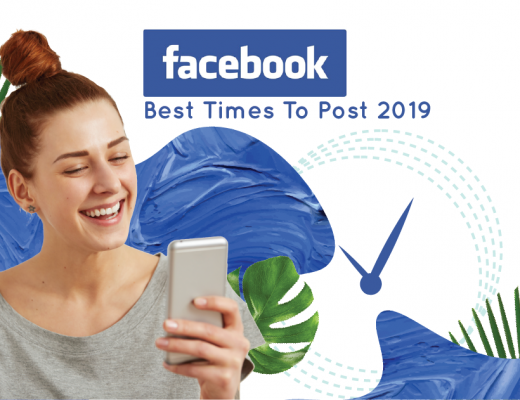 If you’d like to find out more about them, Facebook Blueprint offers a free eLearning course that teaches you how to make the most of your Stories ads. 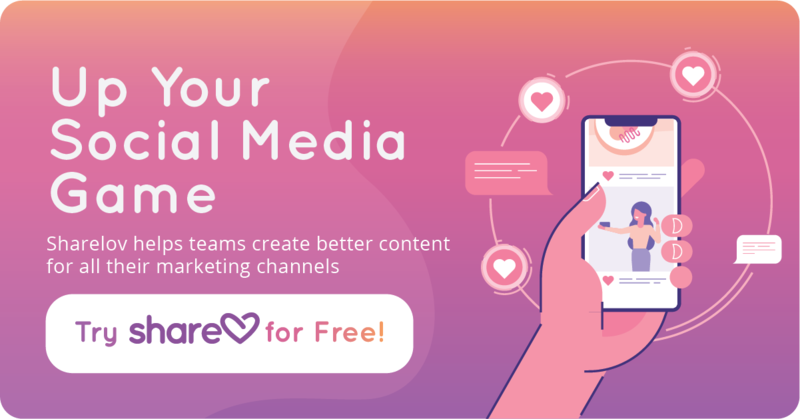 Mention stickers, Emoji slider polls, Font options, and the ability to share posts are also great new features that can be added to your brand Stories. 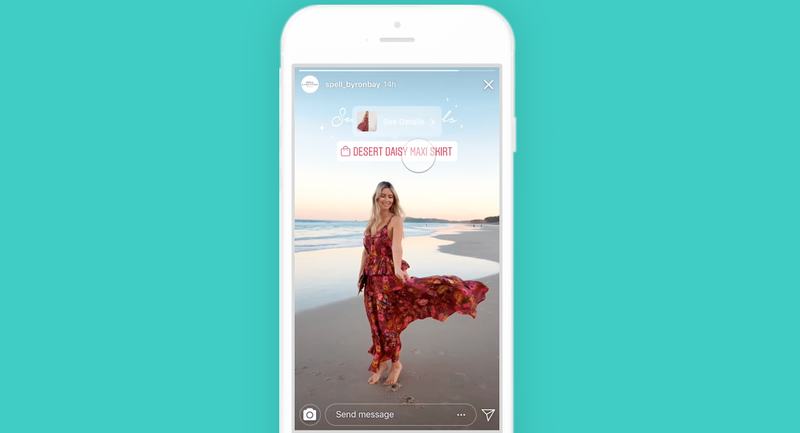 Shopping stickers: Businesses can now use stickers to promote their products in Stories! Product stickers allow your readers to shop for and purchase products featured in your Stories. Tapping on a product sticker within a Story takes the viewer to a product description page on Instagram. From the product page, a shopper can tap “View on website” to go directly to the product page on your website. Or, they can scroll down to browse all of your sticker products. Shopping in Stories changes the game for brands who sell online products. You can add product stickers to any of your Stories. 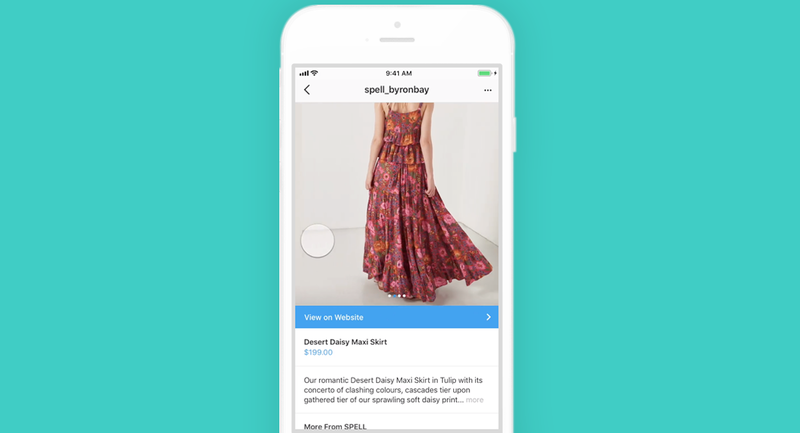 You also have a shot at appearing on Instagram’s shopping channel Explore page. This is a great opportunity to get discovered by new Instagrammers looking for products like yours. The Explore page allows Instagrammers to discover new brands. This lets brands to get seen and “discovered” by a much larger audience if they’re featured in the Explore page. Creating Instagram Stories is a simple process. Keep in mind that you can also highlight Stories and pin them to your profile, where they’ll remain as long as you choose to keep them there. To create an Instagram Story, tap the camera icon in the left-hand corner of your Instagram app. Share a photo, then tap “Your Story” to add it to your Story. Tap “Stories Highlights” beneath your business bio, then tap the “+” button. Select the Stories you want to pin to your business bio page, and finish it up by choosing a cover photo and naming your Story – it’s that simple! There are many ways to increase your chances of success with Instagram Stories. Whether your goal is to grow your audience, increase engagement, or boost your conversion rates, there is a feature on Stories that can help you achieve it. Start by choosing a format that Instagrammers love to engage with. You’re always free to experiment and try new things on Instagram, but there are a few formats that have proven successful over and over again. To better connect with your audience, consider creating the following types of Stories. 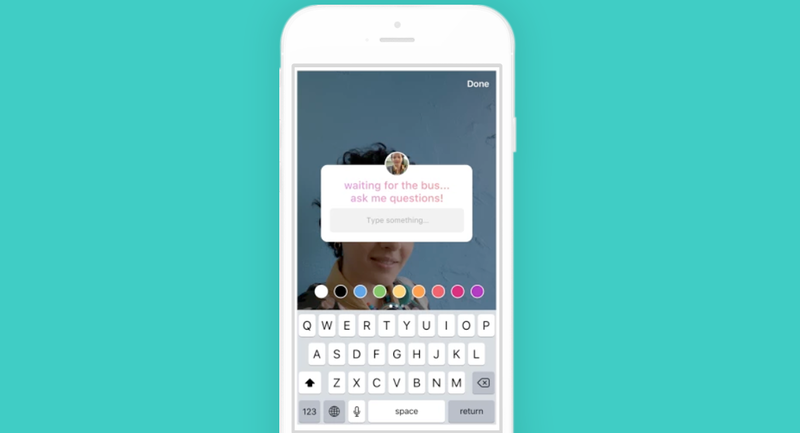 How-to and tutorial-style videos come to life in Instagram’s vertical format with interactive features like stickers and polls. Although how-to style videos are popular formats for recipes and makeup tutorials, there are many other ways that businesses can use them to increase engagement. For example, HGTV got creative with a fun and unexpected how-to video in one of their Stories. Using the hashtag #BodyByHGTV, the Home and Garden TV Story shows viewers how they can watch TV and sneak in a workout at the same time. 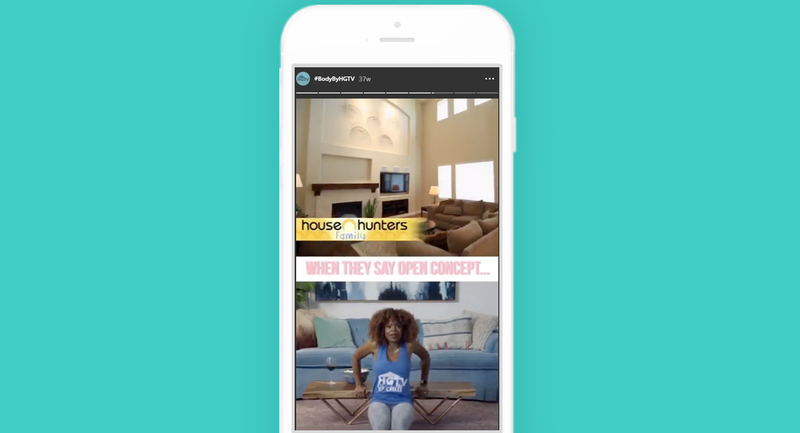 Using a split screen in vertical format, the HGTV Story focuses around a person who can’t make up her mind between watching “House Hunters” and working out, so she decides to do both. While the tutorial is meant to be funny and starts out as somewhat of a joke, the exercises are actually great, quick bits you can do in your living room – while watching the show! Give viewers a peek into the day-to-day world of your brand and its products with a behind-the-scenes Story. Globein Fair Trade products does this with a Story video that shows how their ceramic products are made. 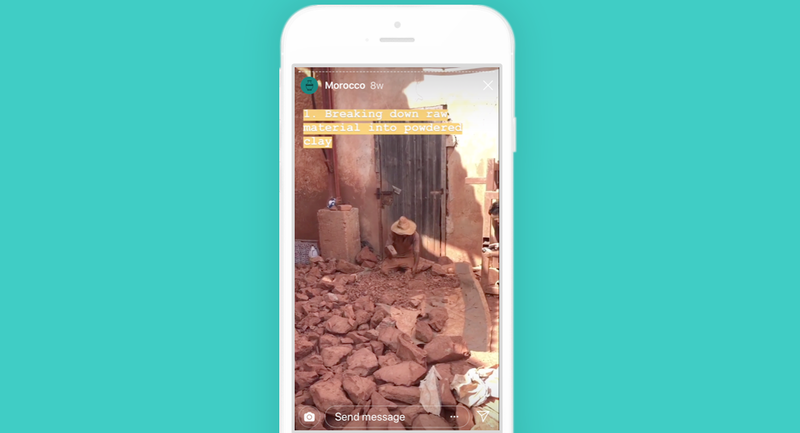 Its Story offers followers the chance to watch every part of the production process, including how they break down material to make the clay for Moroccan ceramics. Behind-the-scenes videos are a big hit with followers because they give people a chance to connect with your brand in a different way. Your videos might include a peek inside your offices or warehouse, or a feature on how your products are made. Anything that allows you to show a more authentic, human side of your brand will probably do very well in Instagram Stories. A question and answer-style Story can be an excellent way to engage your followers, as long as you keep it fun and creative. One way to encourage engagement is by using question stickers that encourage followers to ask you questions. Or, find unique visual ways to present frequently asked questions in your Stories. Take advantage of Instagram’s special features to increase interaction between your brand and its followers. Stickers, polls, hashtags, and account tagging are features that can go a long way toward encouraging people to interact with your brand’s Stories. For example, DIY Network involves viewers in their Stories by adding poll stickers that ask for help making decisions about what type of materials to use in their projects. 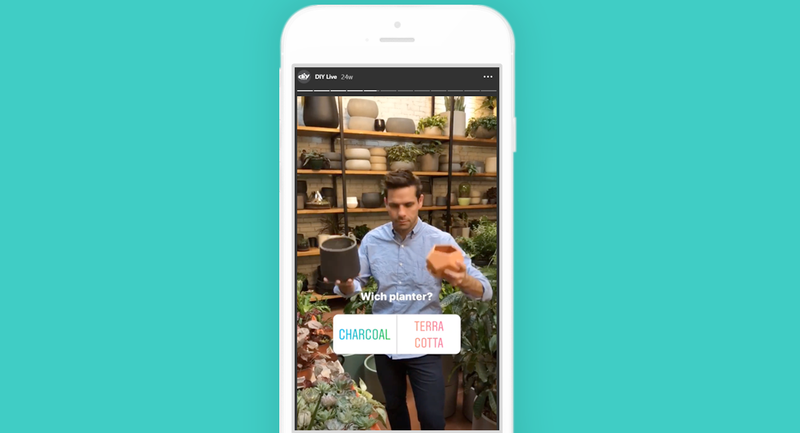 In the example below, a poll sticker poses the question “Which plantar?” and asks viewers to vote for either the charcoal or terracotta style. Expand your reach and grow your audience by improving your chances of getting discovered with features like location stickers, hashtags, and account tagging. Nike brand smartly uses account tagging to make its Story content stand out. One of its Stories features a variety of quotes from well-known people, with their names tagged at the bottom of the image. 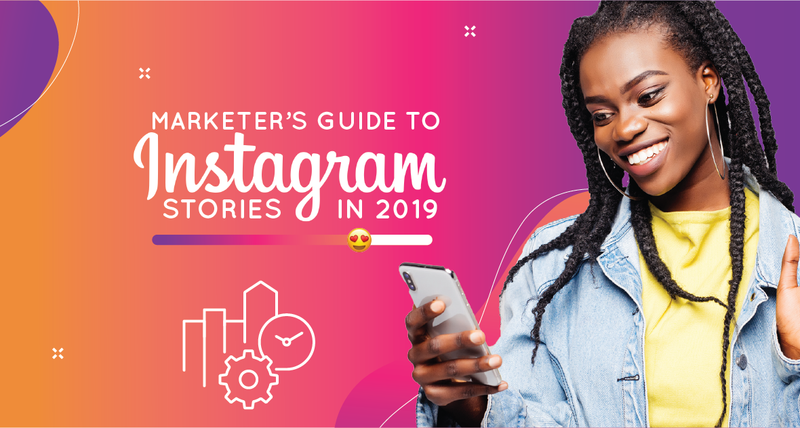 Instagram Stories features can help your brand get noticed and build a stronger, more interactive, connection with your followers. Use features often in your Instagram Stories! We’ve compiled a handful of tips from Instagram experts to help you get a head start on your Stories. Try one or all of them to increase engagement and grow your following. Adweek writer Christine Goos believes that short-form video is best for marketers on Instagram. Since videos drive 9X more post-click site visits than static images, she recommends publishing more videos – and then more videos – instead of images. Kelly says this is a quick way to get extra views for your Story. Marketer Neil Patel recommends boosting your Stories with Instagram takeovers. Whether the influencer takes over your account or you take over theirs, Patel says that this is an “invaluable way to both increase your follower base and drive sales.”. Create beautiful content that’s fun, relevant, and engaging. Don’t turn Stories into self-promotions. It’s great to include links and CTA’s in your Stories, but resist the temptation to do too much self-promotion. 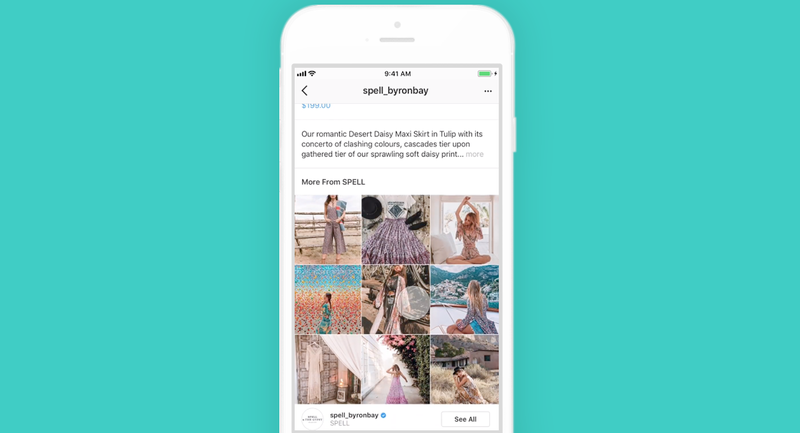 Instagrammers are looking for unique, creative content — and a way to interact with brands on a personal level. If your Stories consist of one “ad” after another (and many do), you’ll start losing followers because you’re missing the point of Instagram. Some of the more recent updates and changes make it more important than ever to publish your Instagram Stories during times when people are most active with brands. The introduction of all its new features in 2018 puts Instagram, IGTV, and Instagram Stories in a league all their own. While social media platforms like Facebook continue to push brands away by making them less visible, Instagram is doing the opposite. The rapidly-growing social platform is welcoming brands by giving them a chance to build a following AND increase off-platform conversions. For businesses, Instagram “gets it” and has created an environment where people love interacting with brands. 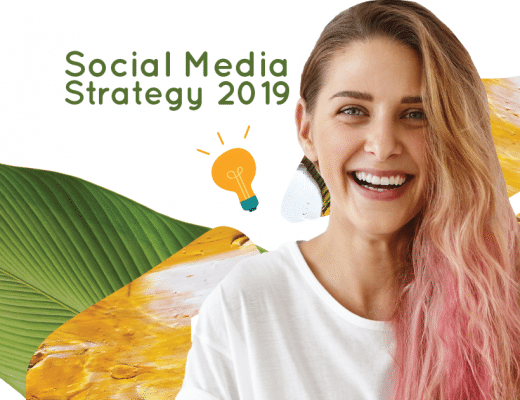 Stories gives businesses a chance to connect with real people on a personal level, helped brands to grow highly-engaged audiences. What do you think? How have Stories improved your brand’s engagement? We’d love to hear about some of the creative things you’ve done to make Stories work for you.